DDB Worldwide’s chief creative officer has stressed that agencies must earn the right to help brands sculpt culture by driving compelling stories now more than ever. 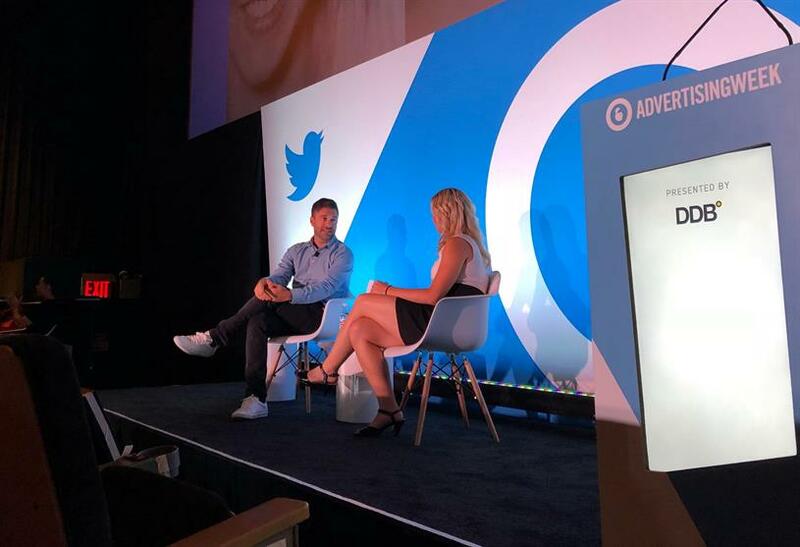 Ari Weiss, who joined the Omnicom shop in 2016 after years at BBH, spoke about the future of creativity with Campaign US Editor Lindsay Stein at Advertising Week in New York City on Monday. "Have something great to say, and say it in a great way," said Weiss. "What we do is not rocket science. It’s hard to make it interesting and it’s hard to be an uninvited guest and turn into an invited guest. How can we find really interesting things to say about our brands and tell it in very interesting ways?" It’s the ethos he took to DDB as part of his mission to resurrect the agency with CEO Wendy Clark. After months of laying dormant, the sleeping giant has awoken and has recently taken home a string of awards including 16 Cannes Lions in June. "Where we’re at right now in modern marketing is everything is fragmented," he continued. "There’s a million ways to land your story, and depending who you’re speaking to, there’s totally different consumption behaviors. So how do you know who you’re talking to? How do you know who wants to consume your stories? And how do you bring that story into the world so they seek it out? "We used to be able to buy exposure — we still can — but clients want that earned reach more and more. They want to become a part of culture and be invited into that culture and be a trending topic on twitter. How do we do that? We have to earn that right — we have to be compelling." Weiss bemoaned brands’ eagerness to jump on the latest technology for the sake of jumping on the latest technology. He said that too often clients will use it in lieu of a creative idea and risk failure of brand story building when the technology shelf life expires. Technology should be used as a pallet for which stories can be told on, not the immediate solution to a campaign, he said. Asked to name the biggest change storytelling has seen over the past several years, he said the narrative has extended. Weiss added: "It’s finding that simple idea and doing it in a way that will really get noticed. "Ultimately, as a creative, you’re always at your best when you’re a bit uncomfortable, because you have to find solutions to problems you don’t have the short cuts to."